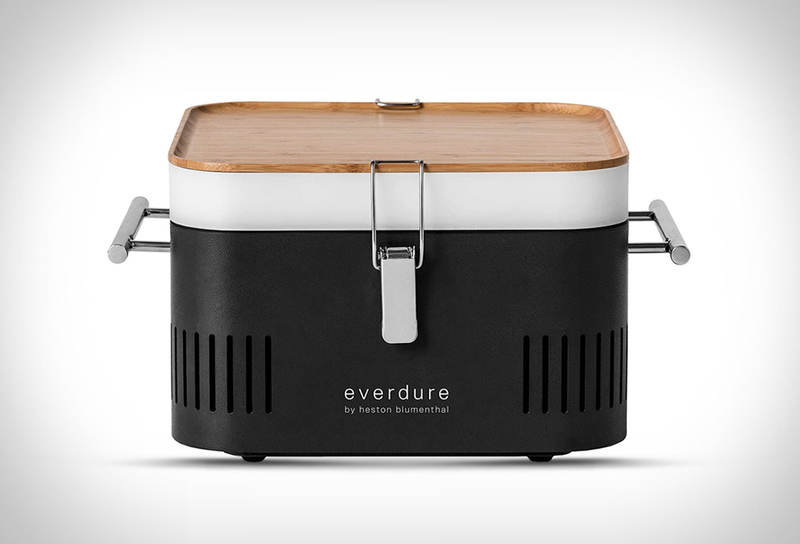 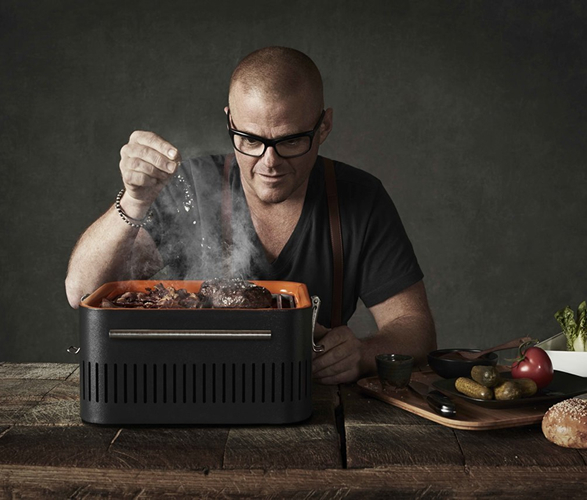 Everdure Cube is an elegant BBQ grill designed and developed by Heston Blumenthal, one of the world’s top chefs. 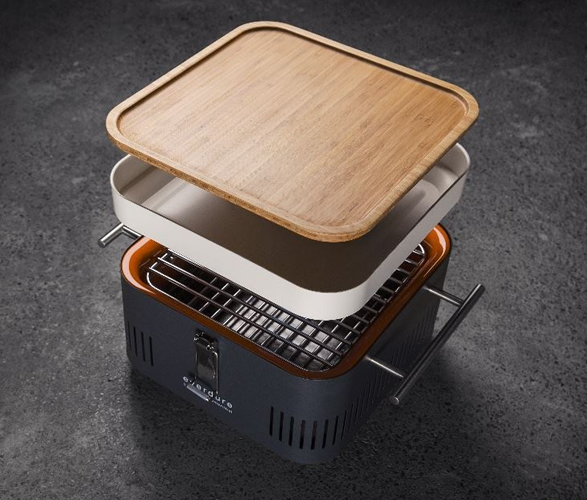 The portable grill is designed for impromptu barbecues away from home and is perfect for use on table tops. 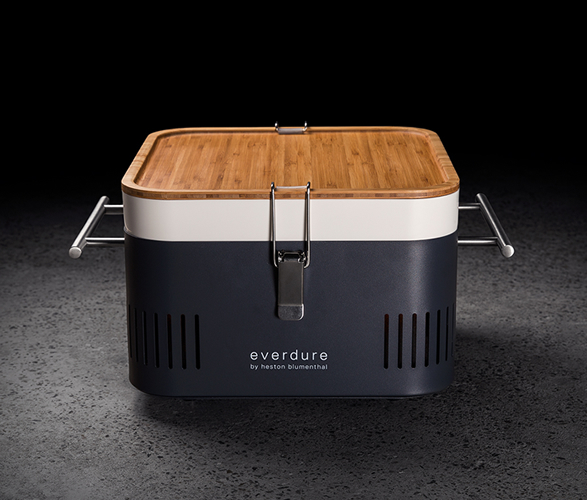 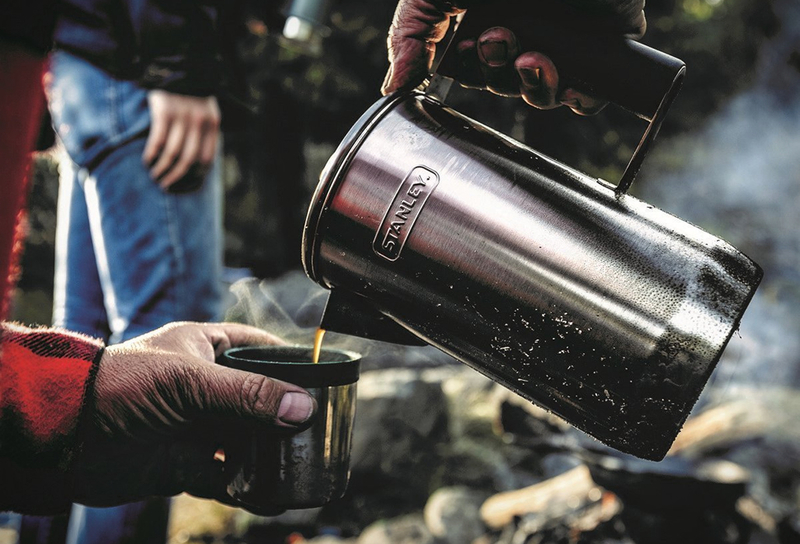 Made from lightweight durable steel with a high temperature finish, the Cube features an integrated food-grade storage tray, preparation board and porcelain enamel fire box, cool-touch handles that fold down for storage, a removable coal tray and a lid that snaps on with a pair of clamps. 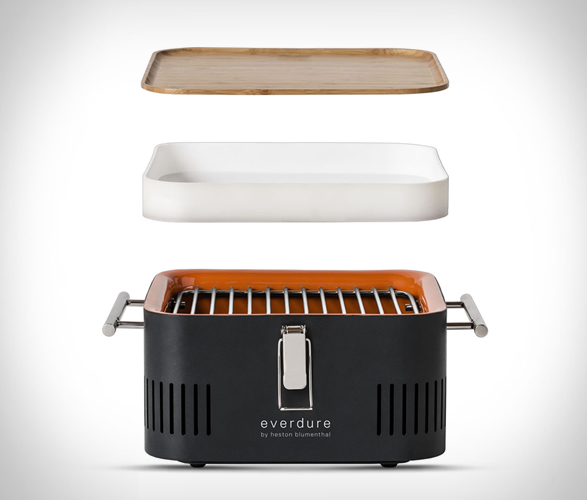 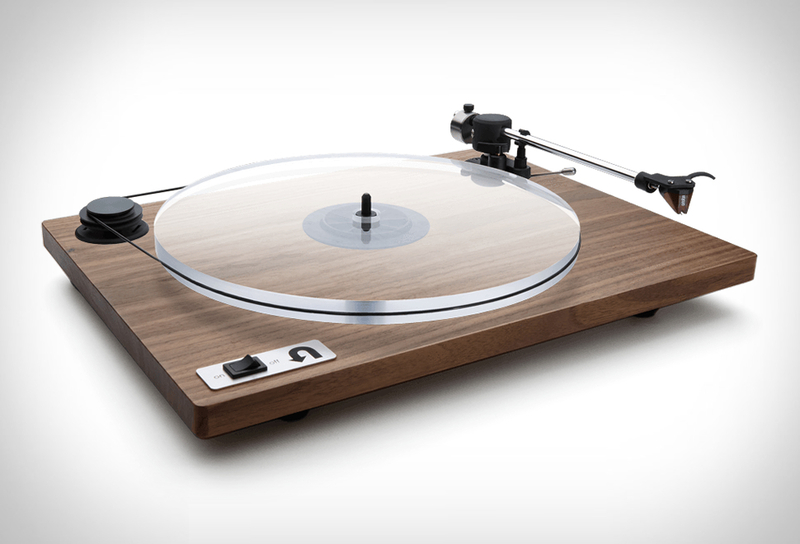 Available in grey, orange, olive and black.